A recent survey mentioned that employees stay long with the company because of the good boss not for great pays and other benefits. A survey has been taken to explore the reasons for staying long with the same company. Of 38 percent responded that it would be a good boss. The participants need to be chosen from four options Good boss, good salary, friendly colleagues and good physical work environment. India Inc employees again proved the fact that people leave bosses and not companies. This was an old statement which is applicable to today's digitalized business environment also. The survey conducted with the employees across sectors of IT and Non- IT from India Inc. The survey results found that, having a good boss was rated above other facts like good salary, friendly colleagues and good physical work environment. Among them 38 percent employees stated that a good boos increased their chances of staying long with the company, finds the survey. Over 34 percent of the employees rated for good salary to stay with same company for a long time. The responses received across industries highlighted those cordial relationships with the immediate manager is the biggest factor in enhancing employee engagement at workplace. It is also observed that a bad manager or managerial skills can leave employees disengaged, resulting in higher attrition rate. Of them, 22 percent surveyed employees mentioned that a company with good infrastructure will also play key role in staying long with the same company. A company with good physical work environment, including chairs, desktops/laptops and canteen, will be the key factor in continuing work with the current employer. 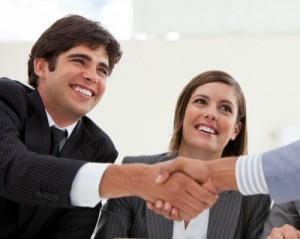 Only 6 percent responded felt that friendly colleagues will make them to stick with the same company for years. Focusing more on managerial skills and leadership skills may enhance the employee engagement and reduce attrition rates.